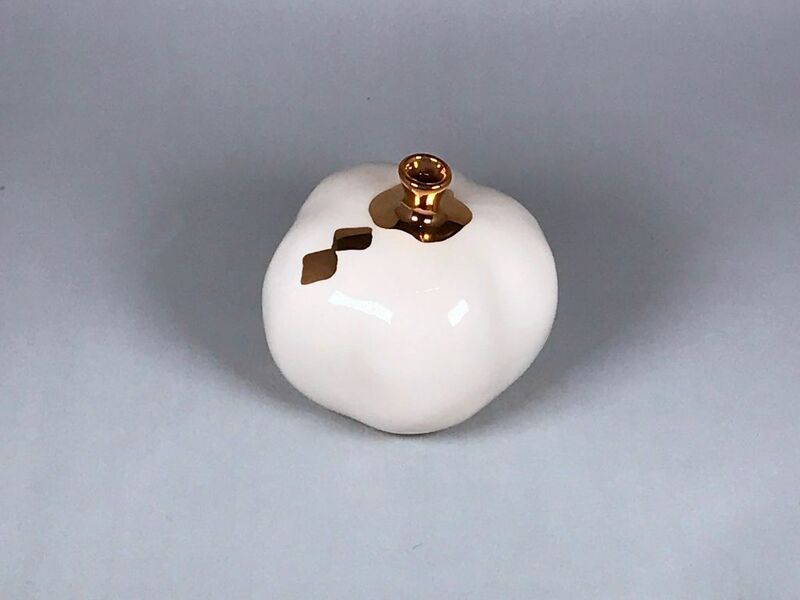 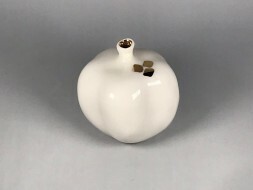 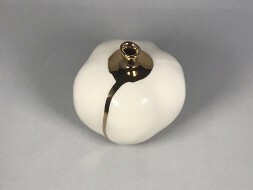 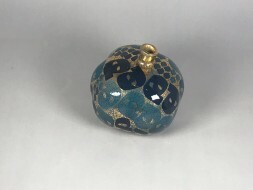 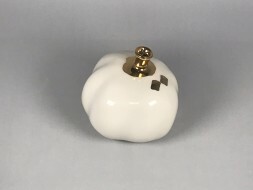 Fully handmade white ceramic pomegranate with two gold dots on it. 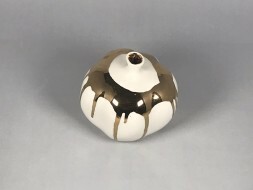 This is one of a kind art piece about 4 inches in diameter and 4 inches height by Keyvan Fehri. 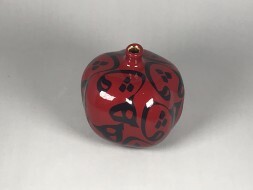 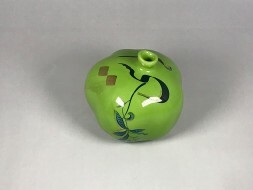 The Persian Artist Keyvan Fehri began his professional work in ceramic art in 1989 and is specialized in reproduction of Persian museum ceramic pieces. 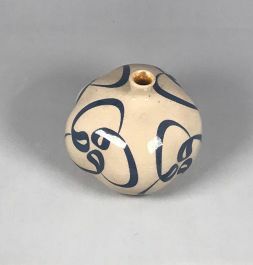 He is using ancient ceramics firing methods from various regions of Iran dating back to the 13th century AD to create this contemporary pieces.